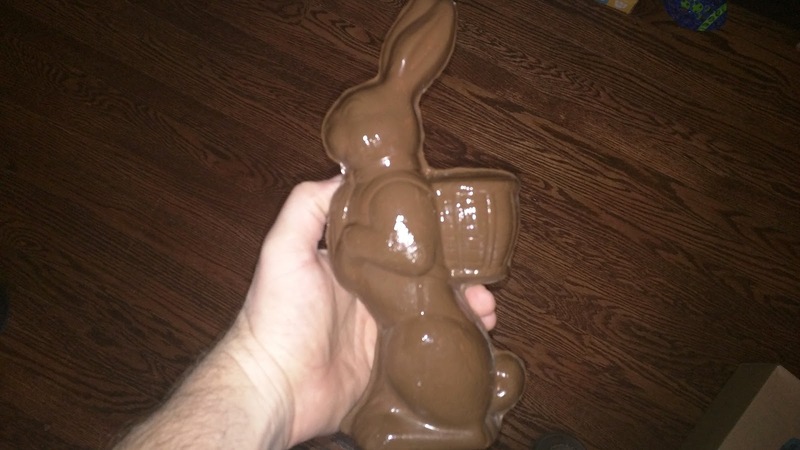 This is the fifth edition of the 'faux chocolate' water putty Easter bunny produced in our house. He has a basket on his back and is pretty tall. Took almost a half can of Water Putty for each one. I can't seem to find the photo of last year's version (but I did, indeed, produce one). Guessing it had something to my lack of posting in March and April of 2014. I did, however post the mold from last year that you can see here. We made the typical batch of four of these guys and with the help of the girls, we gave them away a week ago on Easter Sunday. Here's the original how-to post from back in 2011.